Zihan Kassam on Kenyan artists engaging in political and social discourse. Longinos Lagina, Democracy my Piss (detail), 2016. Thriving art scenes are intricate microcosms, defined by artists at varying stages of their careers, employing diverse techniques, and pursuing individual goals and objectives. 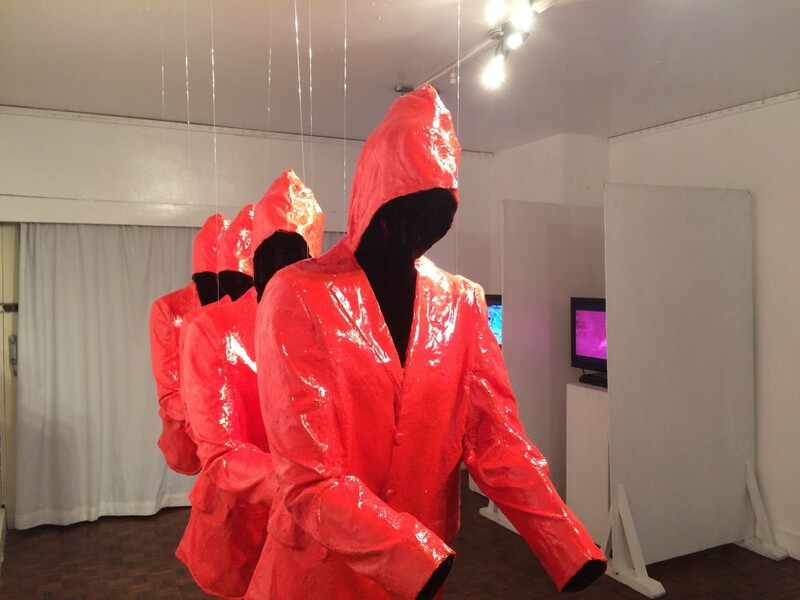 With its many moving parts, the Nairobi art scene is no exception. There are many factions of artists, each consisting of special characters and free spirits. It is the emerging artists however, that are the best indicators of what is happening in society. They are the pulse of the city. From the various splinter groups, the post-independence artists in Kenya include legendary artists like ceramic sculptor Edward Njenga, ninety with a career spanning the last fifty years and Wanyu Brush, a founding father of Modern Kenyan art, with his vibrant paintings that were exhibited both locally and internationally in the 1980s and 1990s. There are the Kenyan diasporans, like ceramicist Magdalene Odundo who resides in the UK and Naomi Wanjiku Kakunga, living in Texas and showing her contemporary metal wall-hangings at prestigious galleries including the October Gallery in London. Let’s not forget Ato Malinda who lives in Rotterdam and Wangechi Mutu, rumoured to have just moved back to Nairobi. Peterson Kamwathi, Mantra to Victimhood, 2014. 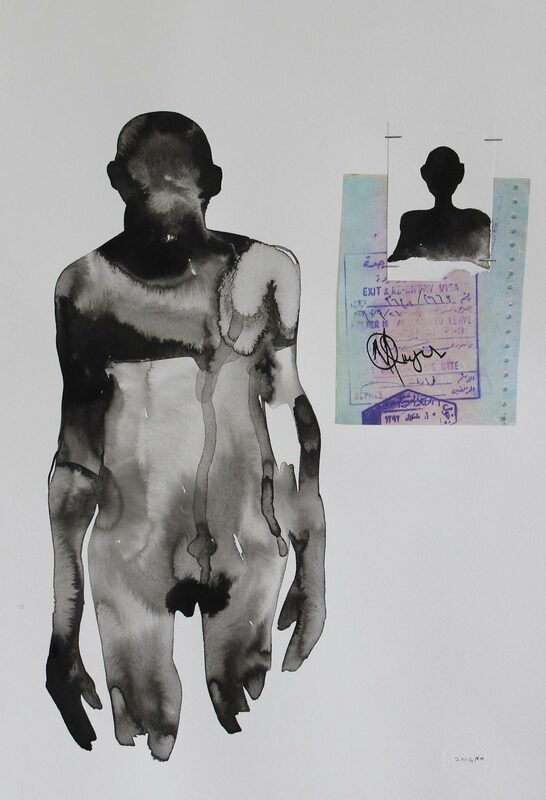 Within the contemporary crew on the ground, one of Nairobi’s most respected artists is Peterson Kamwathi, a multi-media artist known especially for his charcoal on paper compositions that explore the layman’s experience of electoral malpractice and other legal delinquencies in Kenya. Meanwhile, installation and performance artist Syowia Kyambi works to deconstruct the social norms that society accepts as hard and fast truths. Kyambi’s research based projects explore the effects of loss, longing, memory and race on cultural identity and personal relationships. Exhibiting at local and international venues, many of which are off the beaten track, both Kamwathi and Kyambi have tailored unique artistic paths, occupying their very own niches in Nairobi’s vibrant art scene. 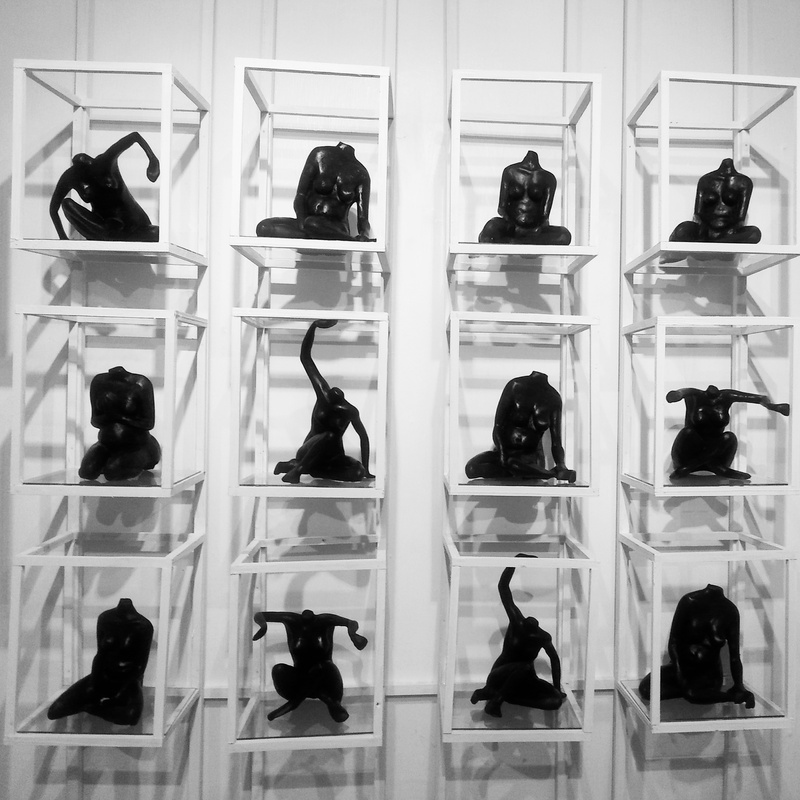 Nairobi’s Kuona Trust Centre for Visual Arts hosts a range of artists including popular artist Cyrus Kabiru who held a TEDTalk in 2013 and whose C-Stunner glasses have been featured at the Guggenheim Bilbao, The Studio Museum in Harlem and the Zeitz MOCAA permanent collection in the Zeitz MOCAA Pavilion in Cape Town. Also from Kuona is rising star Jackie Karuti whose painting, video and installation work, exploring identity and purpose, are effectively working to change the perception of art in Kenya. Nairobi also boasts of contemporary superstars like Beatrice Wanjiku, who was featured by Artnet as one of the top ten artists show at 1:54 Contemporary African Art Fair in New York, and Paul Onditi whose paintings have been auctioned at Bonhams and were featured at the Volta Art Fair in New York earlier this year. Beatrice Wanjiku, The Strangeness of My Madness IV. But quirkiest bunch of artists on any art scene are usually the newbies, fresh to the art world and searching for their place in it. In this awkward phase of their career, it is not uncommon for their audience to cringe at their bumbling and gawky creations as the artists take their time to find their way. After some time, however, and a lot of practice, they become increasingly coordinated and start to show potential. They find a nook that works for them, a place where their concepts and techniques live happily together. This is usually when the toffee-nosed art mongers, who initially sneered at the artists in their inelegant phase, start to see reality through a newly created filter – through the eyes of what will become the next generation of artists. This is a typical rite of passage for successful emerging artists. 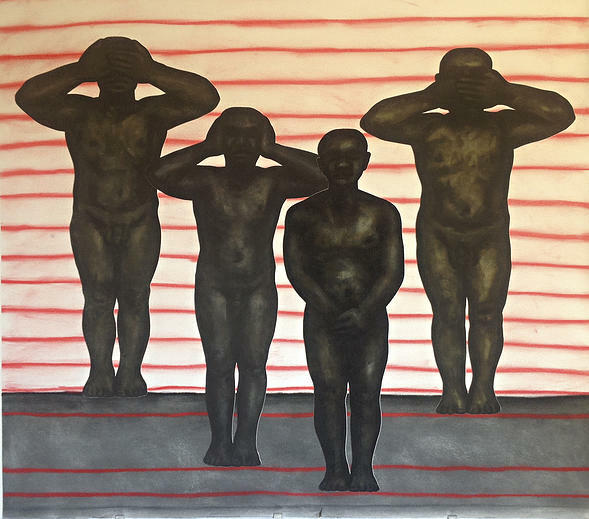 When Longinos Nagila returned to Kenya from Italy, his first exhibition Mwanzo Mpya at Shifteye Gallery in April 2014 was comprised of 24 figurative paintings. Nagila depicted blood-thirsty perpetrators in gas masks torturing their victims. Still in the early days of his career, he was experimenting with the drip method, sopping paint over the faces of the wounded, in an attempt to portray their suffering. He played with coffee stains for the first time, smudging coffee juice directly on to the canvas in clumsy swabs. In this exploration of religious politics, he produced a discomforting series, not easy on the eye nor the mind. Ultimately, he had to bear with the equally discomforting critiques that followed. Longinos Nagila, Democracy my Piss (detail), 2016. Longinos Nagila, Democracy my Piss (detai), 2016. Nagila’s innovative installation (which includes a video installation and a small catalogue) is certainly attractive and, more importantly, it conjures a wealth of questions. It works to expose the corrupt tactics that Kenyan politicians employ to access political influence. 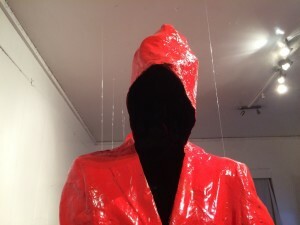 But even with the critical message it bears, its controversial nature makes it highly unlikely to be exhibited at a national museum or public venue in Kenya. Still, by invoking important political discourse amongst artists and friends, it serves its purpose. Jess Atieno, Prisoners of Stereotypes, 2015. Nagila’s peers, young artists like himself, are also using their artwork to ask important questions and to address the key issues affecting their lives. A few of them are doing this exceptionally well. Emerging artist Jess Atieno is finding her niche in the exploration of gender stereotypes that persist in urban culture. 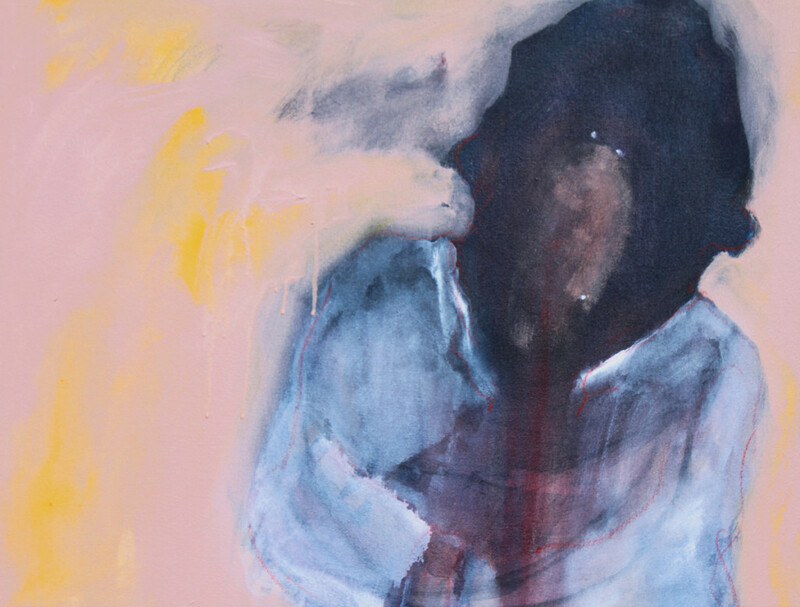 At the 2015 Kenya Art Fair, she showed two compelling pieces that turned heads. 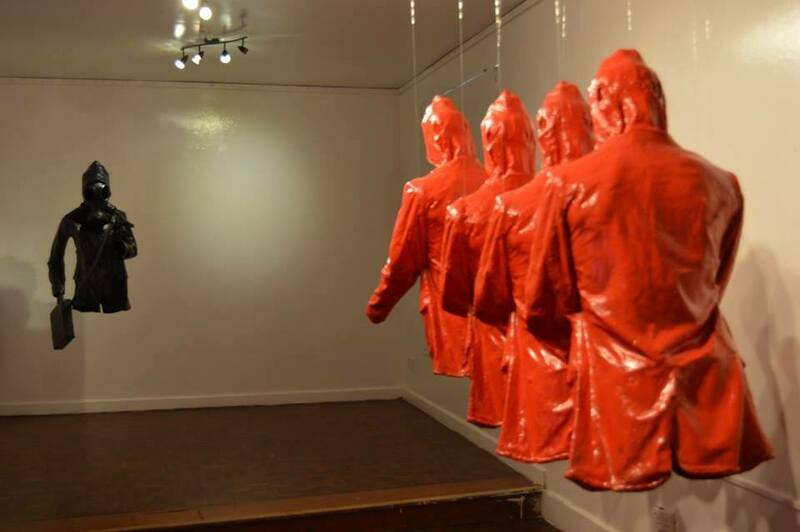 Her sculptural installation Prisoners of Stereotypes used fibre glass models of headless women in different postures, isolated in separate cubbies. 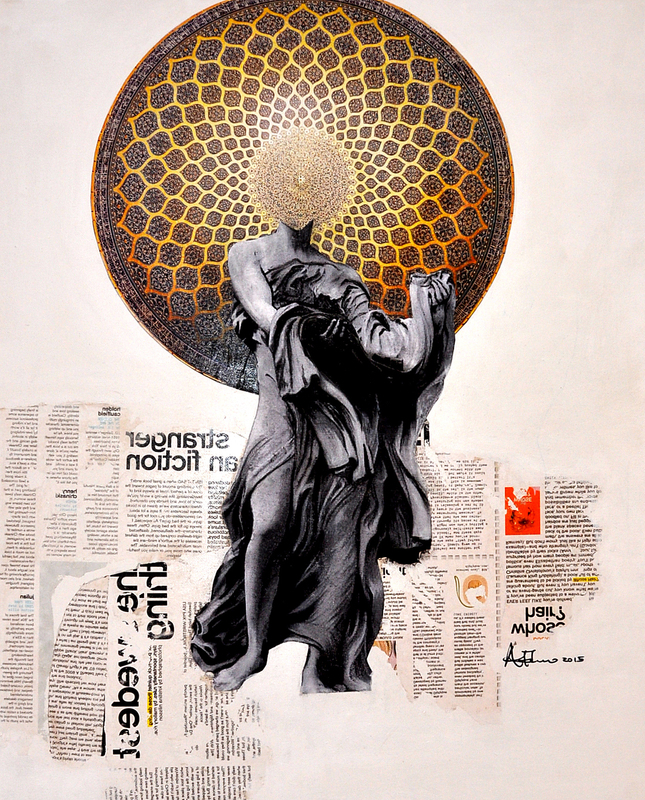 Atieno says she was, “exploring the expectations and roles imposed on women.” Her mixed-media work ‘Maria’, featured a dominant female figure dressed as a Grecian goddess wearing a halo. It looked at how women are represented by various religions. With guidance from Peterson Kamwathi, Atieno is working towards Wanjiku, a solo exhibition that comprises photography and installation work, which will take place at Kuona Trust later this year. Onyis Martin, Papers of Freedom, 2016. Onyis Martin’s latest series ‘Papers of Freedom’ presents eye-catching black and white ink-works, watercolour on paper, addressing issues related to ethnic and national identity. 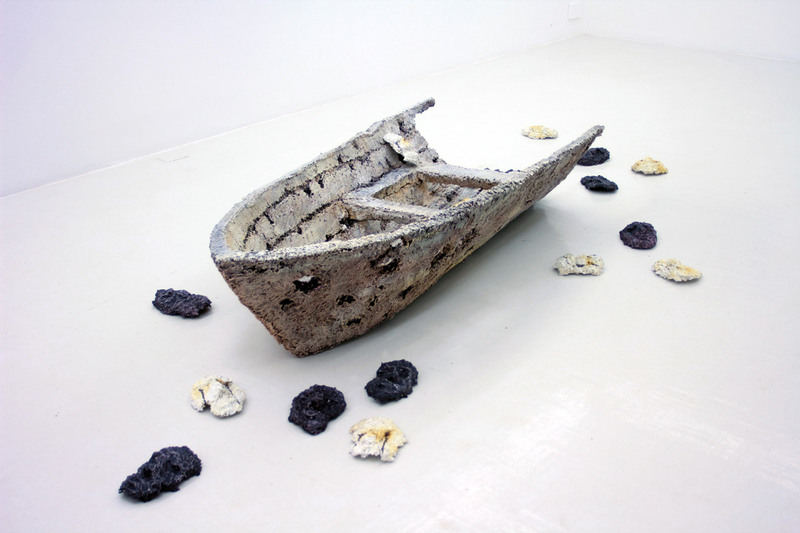 He explores feelings of displacement, rejection and belonging. Impacted by the Syrian migrant crisis and by internally displaced people in Kenya and other African countries, Martin looks at the psychological impact of being forced out of one’s homeland. 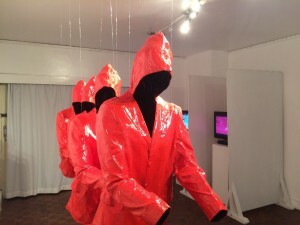 His powerful mixed-media installation Home, Prisoners of Hope at Circle Art Gallery’s Freedom I Flight I Refuge exhibition earlier this year, recalled a poignant line from Kenyan-born Somali poet Warsan Shire’s poem ‘Home’: No one puts their children in a boat unless the water is safer than the land. Maina Boniface, Devolution of resources (Decoy-Series), 2015. 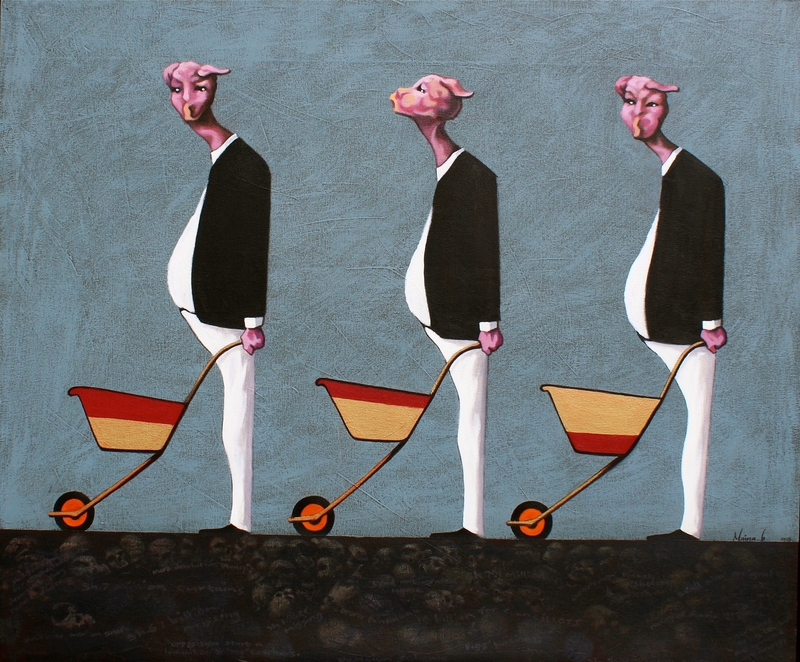 Now, more than ever, Nairobi artists are exhibiting an unprecedented level of intellectual sophistication. Artists like Peterson Kamwathi, Onyis Martin and Jackie Karuti can spend months researching the concepts behind their artwork. Emerging artists too, are asking important questions about the purpose of art and what it can achieve. Using new techniques and mediums, they are creating artwork that contributes to the socio-political discourse in the country. While the youngest artists struggle to find their voice, it is a rite of passage that certainly pays off over time. If the conversations emerging from the artistic community are any indication of the type of artwork to come, it is safe to be optimistic about the future of Nairobi’s art scene and the positive impact it will have on the society at large. 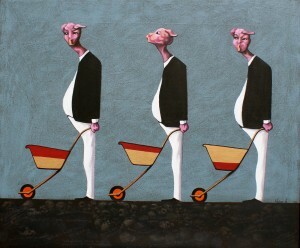 Zihan Kassam is an artist and art critic from Kenya.